A hole of no less than one square meter in size has also been discovered beneath the reactor’s pressure vessel, TEPCO said. According to researchers, the apparent opening in the metal grating of one of three reactors that had melted down in 2011, is believed to be have been caused by melted nuclear fuel that fell through the vessel.The iron scaffolding has a melting point of 1500 degrees, TEPCO said, explaining that there is a possibility the fuel debris has fallen onto it and burnt the hole. Such fuel debris have been discovered on equipment at the bottom of the pressure vessel just above the hole, it added. Iran has tested a cruise missile called “Sumar” that is capable of carrying nuclear weapons in addition to test-firing a medium-range ballistic missile on Sunday, German newspaper Die Welt reported Thursday, citing unspecified intelligence sources. “The first four planes were supplied late last year and the second batch of 10 jets will be delivered to the customer this year,” said an unnamed source familiar with the matter. The Su-35 is a long-range ‘4++ generation’ super-maneuverable fighter jet. It is armed with an internal 30mm cannon and has 12 hardpoints with a combined capacity of 8,000 kg, compatible with a wide range of unguided and guided missiles and bombs. Its maximum speed is 2,500 km/h, with a range of 3,400 km, and a combat radius of around 1,600 km. Donald Trump slammed Malcolm Turnbull over a proposed asylum seeker deal and accused the Australian Prime Minister of looking to ship off the ‘next Boston bombers’ to the United States during their first official telephone conversation. On Thursday afternoon the newly-elected president took to Twitter to slam the Obama administration for agreeing to take on the refugees in the first place. ‘Do you believe it? The Obama Administration agreed to take thousands of illegal immigrants from Australia. Why? I will study this dumb deal!,’ he wrote. Senior US officials told the Washington Post that Donald Trump abruptly hung up on Mr Turnbull after just 25 minutes – when the pair were meant to speak for an hour. A fuming President Trump reportedly told Mr Turnbull that the conversation was ‘the worst call by far’ he had taken that day, after ‘boasting’ about pleasant exchanges with Russian President Vladimir Putin and three other world leaders. President Trump reportedly ranted about the deal the Obama administration struck with Canberra to take 1250 genuine refugees from Nauru and Manus Island, telling Mr Turnbull: ‘I don’t want these people’. It was the ‘worst deal ever’, he told the prime minister, complaining he was ‘going to get killed’ politically for following through on the resettlement agreement. Sky News sources claim President Trump was ‘yelling’ at Mr Turnbull at points during the heated conversation, which took place on Saturday afternoon Washington time, Sunday morning Australian time. 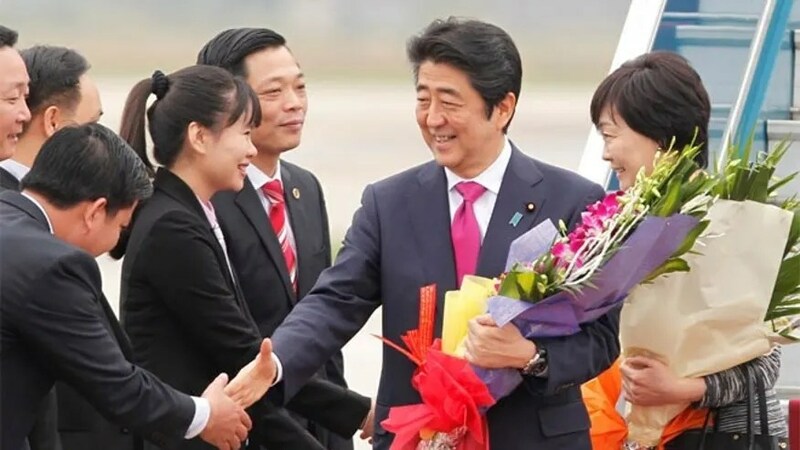 Prime Minister Shinzo Abe reportedly plans to propose a sweeping economic cooperation initiative meant to create hundreds of thousands of jobs in the U.S. when he meets with President Donald Trump later this month. Angling to pre-empt complaints over Japan’s perennial trade surplus with the U.S., Prime Minister Shinzo Abe reportedly plans to propose a sweeping economic cooperation initiative meant to create hundreds of thousands of jobs in the U.S. when he meets with President Donald Trump later this month. Abe and Trump are expected to meet on Feb. 10. Major Japanese newspapers cited a draft of the proposal that calls for cooperation on building high-speed trains in the U.S. northeast, Texas and California. Japan would share technology on artificial intelligence, robotics, small-scale nuclear power plants, space and Internet technology. The reports Thursday said the proposed public-private initiative would create several hundred thousand jobs, reports said, and involve $450 billion in new investment. DEARBORN, Mich. – A Detroit-area woman whose son told television stations that she died because President Donald Trump’s travel ban prevented her from returning to the U.S. for medical care actually died several days before the order was signed, the leader of a mosque said. Imam Husham Al-Hussainy spoke to The Associated Press on Wednesday about comments Mike Hager made to TV stations in Boston and Detroit. Hager said he tried to bring his ill mother back from Iraq on Friday, but that she was not allowed to enter the country because of Trump’s order temporarily barring citizens from seven Muslim-majority countries. Al-Hussainy told the AP that the woman actually died on Jan. 21 or 22 and that prayers were said for her at the Karbalaa Islamic Educational Center in Dearborn. Al-Hussainy said he learned she died then by members of his mosque and from posts on the family’s Facebook page. 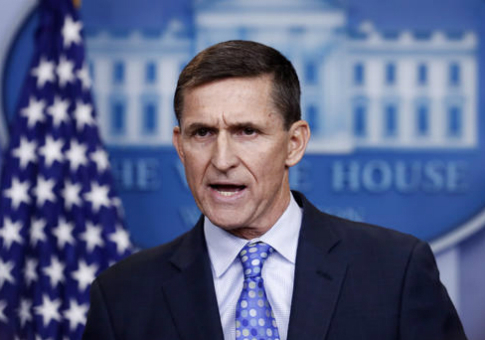 Flynn’s remarks represent a break with the previous administration, which worked to hide Iranian transgressions and declined to publicly state that Iran’s behavior violated the nuclear deal. Disclosing additional details involving how the FBI unlocked an Apple iPhone at the center of a terrorism probe would be detrimental to national security, attorneys for the bureau argued in court filings Monday. Nearly a year after the FBI spurred a heated security debate in a bid to access the contents of a password-protected smartphone recovered from the scene of a mass shooting in San Bernardino, attorneys for the government defended its decision to largely withhold information about how it eventually unlocked terrorism suspect Syed Farook’s iPhone. The FBI ultimately hired an third-party vendor to hack into Farook’s iPhone for an undisclosed sum last year after the government unsuccessfully sued Apple in hopes of compelling the company’s assistance. Several news outlets soon after filed Freedom of Information Act requests in an effort to uncover information about that contract, including the name of the company hired and the amount it was paid. The Associated Press, Gannett and Vice News subsequently sued the FBI in September after their inquiries were repeatedly rejected. “We strongly condemn hideous air attack led by US coalition on #Idlib #RedCrescent HQ. It’s clear #warcrime and #IHL violation,” Kinik tweeted. “The known possible civilian casualties appear to have been potentially caught up in aerial gunfire that was called in to assist US forces…,” US Central Command said in a statement. Chinese media on Thursday indicated ongoing work on a new long range air-to-air missile that seems tailor-made to give the US Air Force problems when operating in the Pacific. As Business Insider has previously covered, tensions between the US and China have been steadily ratcheting up over the last few years, and they have spiked since Donald Trump took office after breaking with decades of tradition and taking a call from Taiwanese President Tsai Ing-wen. Photographs posted on IHS Jane’s and on Chinese media show China’s J-11B and J-16 fighters carrying an as-of-yet unnamed missile that Air force researcher Fu Qianshao told Chinese state-run media has a range of almost 250 miles — much further than current Chinese or even US capabilities. “The successful development of this potential new missile would be a major breakthrough,” Reuters reports Fu as telling a Chinese state-run newspaper. The US’s airborne early warning and control planes (AWACS), basically giant flying radars, are the “eyes” Fu refers to. These planes can detect enemy movements and give targeting data to US fighter jets and bombers. Without them, the US Air Force faces a steep disadvantage. Good deals (and plausible deniability) make good neighbors. South Korea and the United States on Thursday agreed to push through with the deployment of a US missile defence system strongly opposed by China, the prime minister said. Hwang Kyo-Ahn and US Defence Secretary James Mattis confirmed that the two allies will go ahead with the installation of the Terminal High Altitude Area Defense (THAAD)system in the South this year as planned, the prime minister’s office said. Mattis arrived Thursday in South Korea on the first leg of a trip that also includes Japan, two key allies rattled by US President Donald Trump’s ascent to power. It is the first overseas tour by a senior official in Trump’s administration as concerns rise about the direction of American policy in the region under the protectionist and fiery leader. China’s first home-made aircraft carrier is likely to be based somewhere near the South China Sea to handle “complicated situations”, mainland media has reported.Beijing has yet to officially announce a home for China’s second aircraft carrier. The Liaoning, a refurbished Soviet vessel, is based in Qingdao, a port in the north close to Japan and South Korea.An aircraft carrier base along the southern coast would boost the nation’s military projection in the South China Sea, where China has been fortifying artificial islands, a source of tension with Washington. The military already operates the Yulin Naval Base, on Hainan Island, the headquarters of its nuclear submarine fleet. The L.iaoning, which was brought from Ukraine in 1998 and later refitted and renamed after the nation’s northeastern ­province, took part in drills ­carried out in the South China Sea in December. 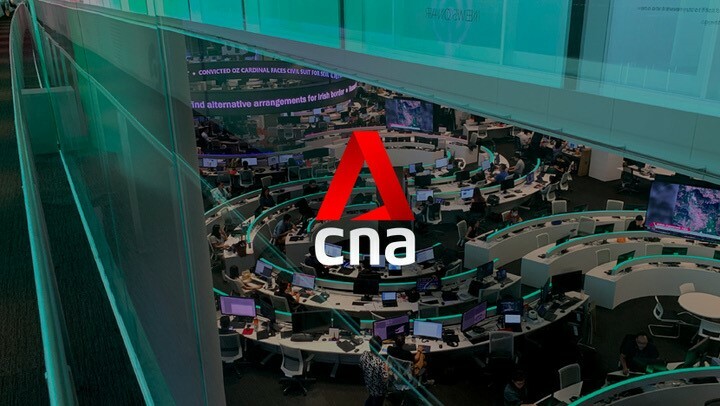 MOSCOW — A private foundation says one of its employees, a prominent Russian opposition activist, has been hospitalized after a sudden illness reminiscent of a poisoning he suffered two years earlier. 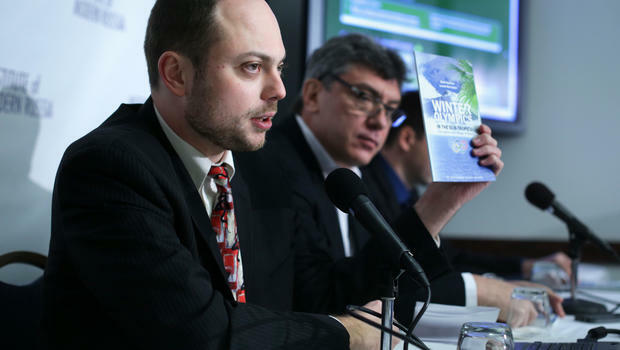 Open Russia, run by exiled Kremlin critic Mikhail Khodorkovsky, said in a statement on Thursday that Vladimir Kara-Murza was hospitalized earlier in the day after becoming ill.
Kara-Murza, a journalist and a close associate of the murdered opposition leader Boris Nemtsov, nearly died when he suffered sudden kidney failure in May 2015. No cause for that illness has been determined but Kara-Murza underwent tests showing he had ingested a poisonous substance. Iran is dominating “more and more of Iraq,” despite U.S. efforts to secure the country, President Trump tweeted late Wednesday. Trump’s comments came the same day that the White House condemned a recent ballistic missile test by Iran, and put the country “on notice,” though the administration did not specify what actions it would take. “The Trump administration condemns such actions by Iran that undermine security, prosperity, and stability throughout and beyond the Middle East and place American lives at risk,” National Security Advisor Michael Flynn said during the daily White House press briefing. It was not immediately clear what Trump’s tweets were referring to, though Iran has been involved in military operations to fight the Islamic State terrorist group in Iraq since 2014. One source, who recently left a high-level position in the department, said Mr. Mattis’ team is believed to be carefully weighing the matter, with the expectation that the Trump White House would support such a move. Another Pentagon official, who spoke on the condition of anonymity, told The Washington Times that the department has not formulated any specific plan, but could not rule out that such a high-level policy change was being considered. “I can tell you that isn’t something that we are working on right now, but that’s not to say something like that won’t happen,” the official said. A virtually impenetrable fence quickly and cheaply built by Israel to keep terrorists and thousands of unwanted refugees out is fast becoming a model for President Trump‘s wall as lawmakers begin to look for funding the top campaign promise of the 2016 election. Just consider price: Israel’s fence cost $2 million a mile to build. The U.S. fence and wall have cost nearly double, at $3.5 milllion per mile. Pressure on French presidential candidate Francois Fillon to pull out of the election race intensified on Thursday as some lawmakers in his own camp urged him to abandon his scandal-tainted bid to save the conservatives from defeat. The scandal, which erupted last week when a newspaper reported the 62-year-old ex-prime minister had paid his wife hundreds of thousands of euros for work she may not have done, has thrown Fillon’s campaign off track. Fillon denies wrongdoing, but opinion polls show support for Fillon eroding fast to the benefit of far right leader Marine Le Pen and a former investment banker, Emmanuel Macron, who is running as an independent. As France readies to elect a new president, Islamists are rooting for the Socialist candidate Benoît Hamon, who just won his party’s primary. Benoît Hamon, the ’candidate of the Muslim Brotherhood,’ won the January 29 second round of the French Socialist Party primaries by a landslide 58.71 percent against former prime minister Manuel Valls, who gained 41.29%. Hamon’s victory was met with an explosion of jubilation by French Islamists on their social media accounts. The CST, which monitors antisemitism and provides security to Jewish communities, recorded 1,309 incidents of anti-Jewish hate last year, compared with 960 in 2015, a rise of 36%. The previous record number of incidents was in 2014, when 1,182 were recorded. The 2014 spike in incidents was attributed to the war in Gaza, deemed to be a “trigger event”. However no such trigger was identified for 2016. Instead, the CST said, there may have been a “cumulative effect of a series of events and factors that, taken together, have created an atmosphere in which more antisemitic incidents are occurring”. MOSCOW, February 2. /TASS/. Russian President Vladimir Putin will visit on Thursday Budapest for talks with Hungarian Prime Minister Viktor Orban. Russian president’s aide Yuri Ushakov said Putin and Orban have already met six times, traditionally in February. He said the program of the current visit includes talks in a narrow format, talks with the participation of the delegations, a joint news conference and a lunch. Russia’s minister of industry and trade, energy minister, minister of economic development, healthcare minister as well as the head of Rosatom state-run nuclear corporation will take part in the talks. According to the Kremlin press service, “advancing major joint projects in trade and economic sector and the strengthening of cultural and humanitarian ties” will be top on the agenda. The accident has resulted in a major oil spill, Navy officials said.Feb. 1 (UPI) — A U.S. missile cruiser ran aground Tuesday off the coast of Japan, according to the Navy Times and local Japanese news sources. The forward-deployed USS Antietam, named after a battle between Confederate and Union forces during the American Civil War, grounded after anchoring out in high winds, U.S. Navy officials said. The ship’s crew noticed the cruiser was dragging its anchor. After it began moving through the water, the crew felt the ship lose control in both propellers. The wreck caused the ship to discharge 1,100 gallons of oil into the sea, near its home port of Yokosuka. U.S. Naval Forces Japan did not say how long it would take to repair the ship, after if was brought back to base with a tugboat, according to Japanese newspaper Sankei Shimbun. Seoul and Beijing are in an increasingly heated dispute over a plan to deploy the powerful US anti-missile system THAAD to the South against threats from nuclear-armed North Korea. (Photo: AFP/US Department of Defense)SEOUL: South Korea has stopped issuing new visas or renewals for Chinese teachers at Beijing’s Confucius Institutes in the country, an official and a report said Wednesday (Feb 1), with tensions growing over a controversial US missile system. Hundreds of Confucius Institutes around the world promote Chinese traditional culture and language as part of Beijing’s soft power strategy. They have provoked controversy over issues of academic freedom at some Western universities. The state-run network has dozens of branches in South Korea in partnership with local colleges. But Seoul and Beijing are in an increasingly heated dispute over a plan to deploy the powerful US anti-missile system THAAD to the South against threats from nuclear-armed North Korea. Northrop Grumman said Wednesday it was dropping out of the U.S. Air Force’s T-X trainer jet contest with partner BAE Systems, making it the second team to leave the competition in the past week. The T-X, a contract valued at more than $16 billion, would replace the aging T-38 Talon pilot training aircraft manufactured by Northrop in the 1960s. Last week, Raytheon exited the competition after failing to reach terms with Italian defense company Leonardo S.p.a.
“The companies have decided not to submit a proposal for the T-X Trainer program, as it would not be in the best interest of the companies and their shareholders,” Northrop said in a statement. NATO chief says Russia must end the violence as both sides move heavy artillery close to front line. NATO Secretary General Jens Stoltenberg has called on Russia to use its “considerable influence” to end fighting in eastern Ukraine after a renewed surge in violence there. Moscow-backed rebels and government forces have trade blame for the flare-up in the industrial east that has seen the highest casualty rate since mid-December and cut off power and water to thousands of civilians on both sides of the front line. The shelling eased on Wednesday, but the January 29 to 31 clashes near the Kiev-held front line town of Avdiyivka brought the festering conflict back into focus amid warnings of a looming humanitarian crisis. Turkmenistan has equipped its naval vessels with new anti-aircraft weapons, suggesting that Ashgabat may see a potential airborne threat to its coast or to its offshore oil and gas infrastructure. According to recently published photos, Turkmenistan has armed at least two of its new Turkish patrol boats with French-produced SIMBAD-RC naval surface-to-air missiles. The missiles are produced by MBDA, which has not publicly acknowledged the sale to Turkmenistan, though Jane’s reported on it, citing unnamed sources, in October. The missiles were noticed by the invaluable Russian military blog BMPD, which saw the photos on a post by exile oppositon website chrono-tm.org. The photos came out of a visit by Turkmenistan President Gurbanguly Berdymukhammedov to some of the newly armed ships on January 17. Turkmenistan has ten of the Turkish-made patrol boats, known as the Tuzla class, and it seems to be one of the priority projects for the Turkmenistan armed forces. According to the Stockholm International Peace Research Institute, these patrol boats have almost all of Turkmenistan’s Western-supplied weaponry: in addition to these French missiles they are equipped with Dutch radars and Italian guns. SIPRI also reports that MBDA has sold 20 of the systems to Turkmenistan, which would suggest that all ten Tuzla ships are to be armed with them. What’s particularly intriguing about this purchase is that it seems to envisage the possibility of Turkmenistan’s coastal areas being attacked by airplane. It’s not clear where that threat may come from, but for what it’s worth, BMPD’s commenters seem to think it has to do with Turkmenistan’s desire to build a gas pipeline under the Caspian Sea. That’s something Russia strongly opposes and against which it has occasionally issued veiled threats. The European Union, meanwhile, supports it. An Israeli computer scientist was among three winners of the 2017 Japan Prize, an award honoring achievement in science and technology, for his work in the field of cryptography. 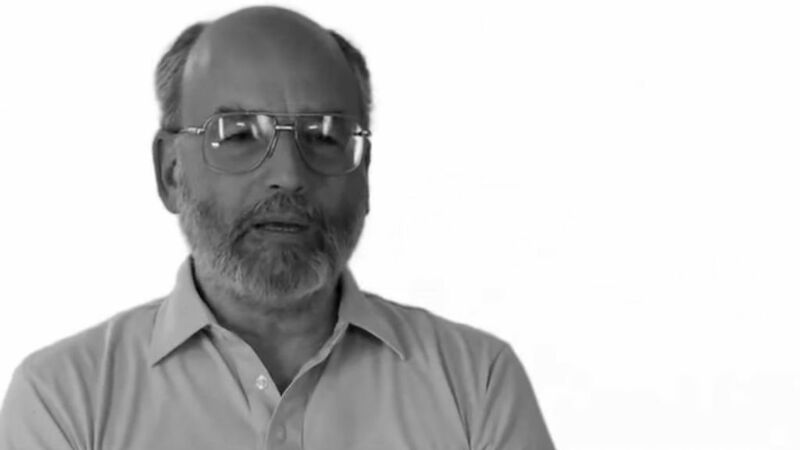 Adi Shamir, a professor at the Weizmann Institute in Rehovot, was recognized for his “[c]ontribution to information security through pioneering research on cryptography,” according to the prize’s website. The Japan Prize Foundation announced the awards Thursday. According to a recent public statement by the HDP party, 1,478 Kurdish politicians — including 78 democratically-elected mayors — have been arrested since July 2016. According to a recent report by Turkey’s Platform for Independent Journalism (P24), 151 individuals are in prison for being journalists or for being employed in the news media. Dozens of TV stations, news agencies, newspapers, magazines, and radio stations have been closed down by the Turkish government.